Does your home have green mildew, algae, or black bacteria stains growing on it? Have you had bad luck searching for a professional pressure washing company? Maybe you called or used another pressure washing business and they didn’t meet your expectations…if you answered yes to any of these questions, Clean Solutions Roof Cleaning & Pressure Washing is your solution to these problems. All of your Newnan pressure washing services will be performed with expert stain removal procedures. With the use of low pressure, there is no damage to your delicate sid3e as we power wash your home. Additionally, we pressure wash driveways and patio with cleanings as well. Business owners and homeowners searching for pressure washing in Newnan can trust us for quality service on exterior cleaning. After you decide to join our client family, we want you to remember… WE WORK FOR YOU! As our client, we treat your property as our own. Our territory managers and field technicians are all certified in professional pressure washing techniques, cleaning methods, and technology. Because there are so many “pressure washing pros” offering services to you, we take pride in separating ourselves from the pack. As a result, Clean Solutions is a member of the three industry leading cleaning organizations: UAMCC, Soft Wash Systems, and Spray Wash Academy. 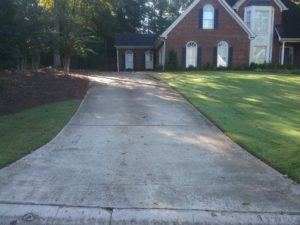 Why Choose Us For Newnan Pressure Washing? 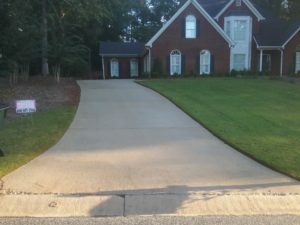 We deliver the fastest, friendliest, and best customer experience of a power washing company in Newnan, GA. While we offer your estimate for services, we assess other areas of concern to help you be aware or prevent problems in the future with your home or business. We use a low pressure cleaning method when providing exterior cleaning. Because of this, we can safely provide stucco or vinyl cleaning of mildew without damage to your home. As a result of our cleaning detergent used to remove mildew & algae, your home will stay clean for longer. Also, at Clean Solutions Roof Cleaning & Pressure Washing, we take pride in educating our clients on the process and following up after we service your home or business. Call or text 678-827-2775 today for a free estimate on pressure washing in Newnan, Ga. Proudly serving Newnan, Ga and Coweta County.